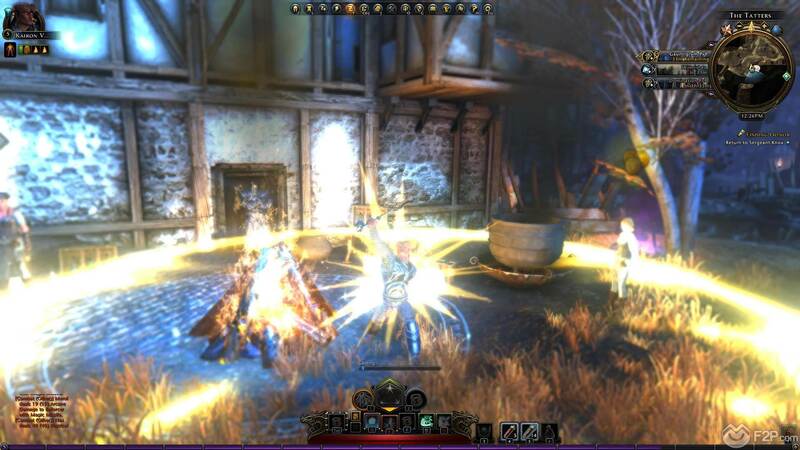 This past two days we took some time to play with the new Oathbound Paladin class in Perfect World’s Neverwinter, the D&D themed MMORPG set in the Forgotten Realms world (Neverwinter Nights and Baldur’s Gate series). Check out our impressions and watch the video below to see it in action. As the Paladin has been one of the longer standing core classes in D&D with its introduction it now feels like the full roster of classes is complete (don’t get us wrong, there’s about another 20 known classes in the RPG that could be implemented). Paladins are holy warriors, from their faith and unwavering loyalty to their sworn deity (Forgotten Realms has plenty to choose from) they are blessed with divine power, their own source tapping directly into the power of the gods themselves. 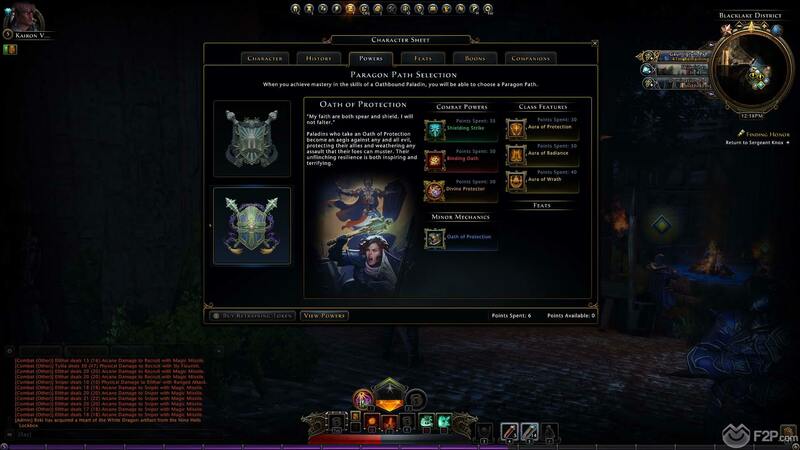 Similar to clerics these abilities generally focus around healing both themselves and their allies as well as dealing Radiant damage, which in terms of Neverwinter’s mechanics means increased damage and armour penetration on your attacks. Unlike Clerics Paladins are considerably more well armoured for battle, wearing heavy plate armour and equipped with Shields and maces they bring a holy fury and righteous smiting to their enemies, particularly fond of eliminating the undead abominations. From a class perspective they don’t necessarily bring anything new to the game, they are part Guardian Fighter and Cleric, with suitable elements of both, but instead fill a niche; from a role point of view the Guardian Fighter is a Defender/Controller, the Cleric is a Leader/Controller, and the Paladin is a Defender/Leader. These two roles are further expanded upon with their available Paragon Pacts; the Oath of Devotion or the Oath of Protection, which emphasise the Paladins focus on healing or defences respectively. 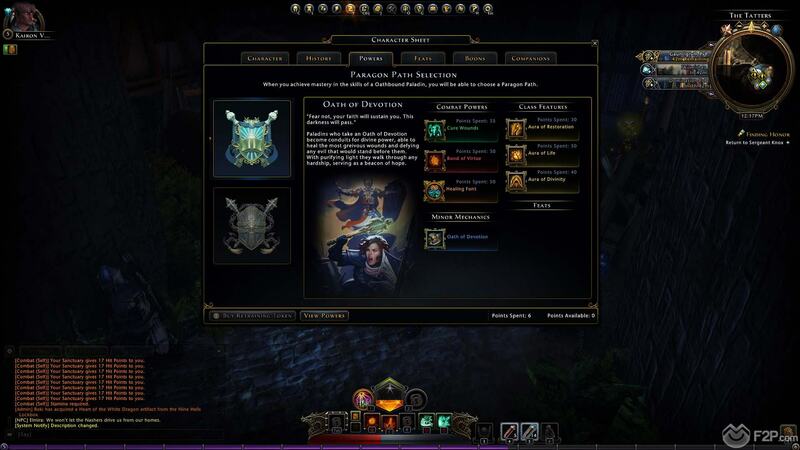 One of the key abilities/features of the Paladin is their auras, once emitted players will see a highlighted reticule centred upon themselves that will grant allies benefits and enemies penalties depending on the type of aura that has been triggered. 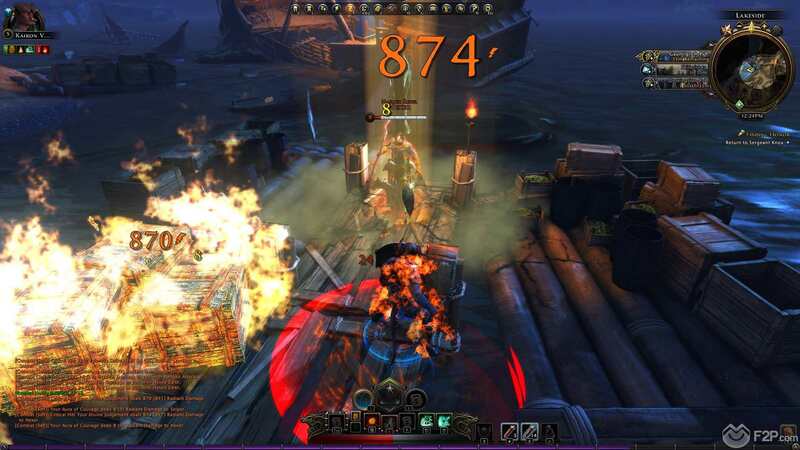 The early Sanctuary power that players are granted enables players to heal both themselves and their allies when they are within the aura, only able to cast it when they are not fighting and quickly uses up stamina. Like we said the class doesn’t necessarily add anything new, but for those types of players that like to play a support role i.e. protection based warriors or healing classes, then the Paladin will give them the chance of having the best of both worlds, sacrificing a little bit of healing for a little less squish!